Trials Evolution managed to net approximately $1.5 million on the games day of release, selling over 100,000 copies! 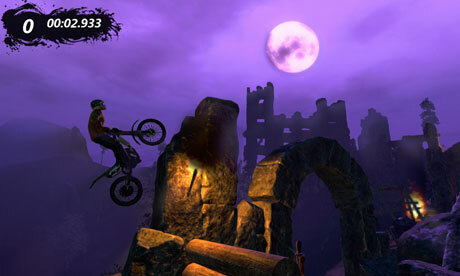 Trials Evolution is the highly anticipated sequel to the 2009 hit Xbox Live Arcade game Trials HD. Trials Evolution appeared on the Arcade Next section, an Xbox Live Arcade campaign to promote the standout titles. A campaign that seems to be working as the games involved in the campaign to appear to receive a higher number of downloads. The leaderboards had recorded a staggering 120,000 users playing, with an increase to 180,000 by the second day and as I write this, only four days after the release on April 18th that number is already now at 274,869. I should imagine RedLynx are rather happy with the games sales. If you have not played Trials Evolution yet its available on Xbox Live for 1200 Microsoft points, and it’s probably one of the best ways you could spend those 1200 points.